My Workers Compensation Claim Was Denied. What Can I Do? If you’ve recently suffered an injury at work, you may be dismayed to receive a notice of denial from your employer’s workers’ compensation insurer informing you that no payment will be forthcoming — especially if the medical bills have already begun to pile up. Fortunately, you have a few options that may improve your chances of a successful appeal. Read on to learn more about your options if your workers’ comp claim is denied. The first step in fighting a workers’ comp denial is figuring out precisely why your claim was denied. In many cases, it may be due to a procedural issue that can be resolved relatively easily. For example, if your claim was denied because you didn’t report your injury to your employer in time, you may be able to easily overturn this on review by showing evidence (like text messages or an email) that you reported your injury within the required timeframe but your employer just didn’t get this information to the insurance carrier promptly. Every state has specific procedures to request a formal review of your claim with the state workers’ compensation board — but in many cases, you’ll be able to obtain a more informal review just by appealing your denial with the insurance carrier itself. You may be able to figure out your employer’s insurer’s appeal procedures by visiting its website; if not, a phone call to the number that should have been listed on your denial letter can get the information you need. If you’re certain you have a valid workers’ comp claim but are getting nowhere on your own, a consultation with an attorney may be able to point you in the right direction. Often, a stubborn workers’ comp insurer just needs a gentle nudge from someone well-versed in your state’s workers’ compensation laws to encourage settlement of your claim. An attorney can also give you information on the evidence you’ll need to retain and the actions you’ll need to take now to preserve your claim and maximize your odds of success. 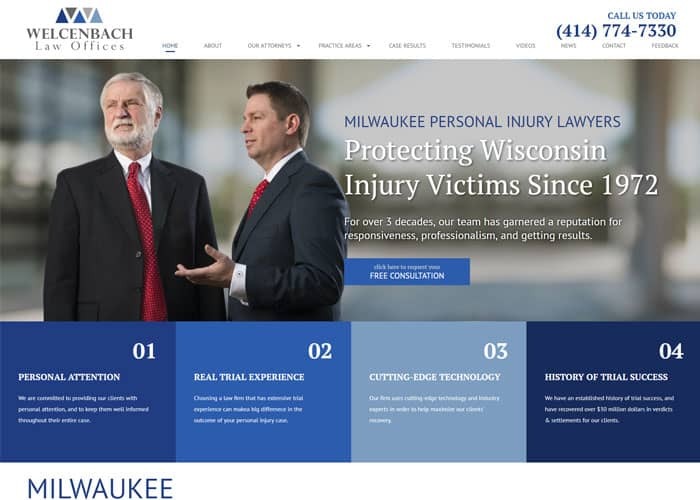 If you’re looking for a qualified personal injury attorney, contact Welcenbach Law Offices today. How much insurance do I need in Wisconsin if I’m in a car accident? How Do I File a Claim After a Hit & Run Accident in Wisconsin? What If I Don’t Have Health Insurance and I Am Hurt In an Accident?